Engineering vehicle carrying civilians working on Gaza security barrier shot at by terrorists. 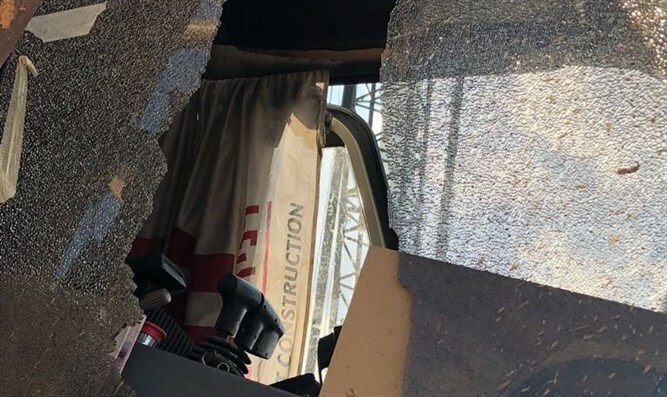 Terrorists from the Gaza Strip opened fire on civilian workers engaged in the construction of the barrier along the security fence near the northern Gaza Strip Wednesday afternoon. According to the IDF, an engineering vehicle was struck by gunfire from Gaza. Earlier Tuesday, the IDF Southern Command decided to reinforce the Gaza Division and close several access routes in the area adjacent to the Gaza Strip in response to threats from the Hamas terrorist organization.